Welcome to Babbitt Motor Werks, Your Complete Arizona BMW Repair Facility! independent shop serving Tempe, NORTH TEMPE and NORTH Scottsdale. Babbitt Motor Werks is your premier dealership alternative for BMW service, repair and maintenance in Phoenix, Arizona. With three convenient locations in Tempe, North Tempe and North Scottsdale, we are just a short drive from anywhere in the valley. We employ bright, friendly, and talented technicians with previous dealer experience. Several of our technicians reached BMW Master technician status while working at the local dealership. enter for oppurtunity to win an ipad every month! Why you ask is Babbitt Motor Werks the Premier BMW service, repair and Maintenance Dealership Alternative? We are specialists in BMW and MINI vehicles, and our technicians have many years of experience with BMW vehicles both as factory-trained technicians at BMW/MINI dealerships or as technicians at other BMW aftermarket repair facilities. Our technicians collaborate as a team to support each other ensuring that our customers’ vehicles always get the best technical attention. 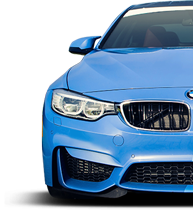 Babbitt Motor Werks offers BMW Service in N Scottsdale, Tempe and N Tempe, Arizona. We are bmw owners also! Knowing BMWs is the key to effectively servicing them. As owners of BMWs as well as mechanics working on them, we have extensive knowledge and experience that can’t be found elsewhere. 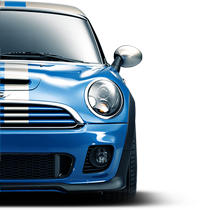 We repair and take care of all BMW service, repair and Maintenance, efficiently and quickly at a price that is fair. We take pride in the fact that we know every nut and bolt in a BMW. We can honestly say we are better than the dealer in many ways, not just because we are less expensive.